It’s officially fall and that means football season is in full swing. 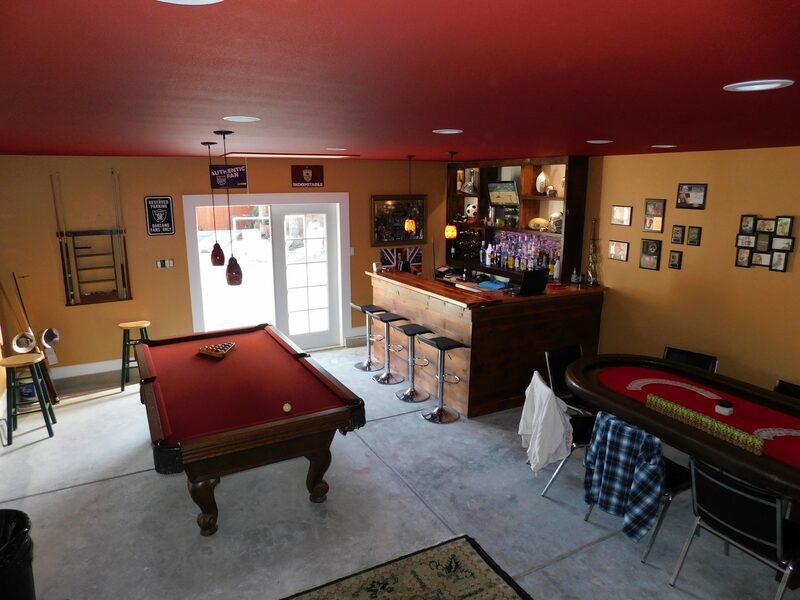 Whether you’re a die-hard or a casual fan, we think game day is more fun when you’re watching in your own themed shed. We’ve put together a six-step guide to help you transform your backyard shed into a great place to host game parties all season long. Is the interior of your building finished? For the most comfortable game day experience, we recommend finishing out your building with drywall and electricity. After all, you’ll need the electricity to watch the game! 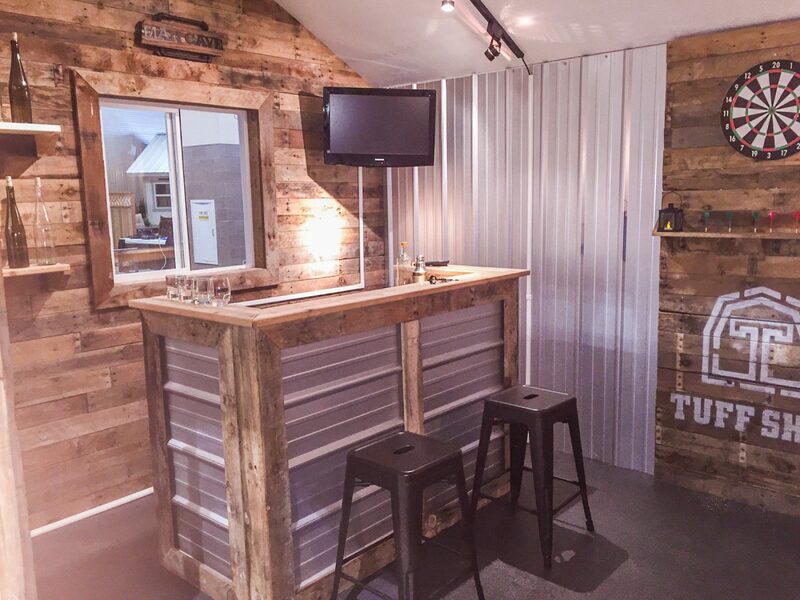 Take your game day shed to the next level with a custom paint job. Find your teams colors and get creative. You can even add a vinyl decal of your mascot or team logo to finish out the fresh new paint job. Finish it off with all your memorabilia and team swag. 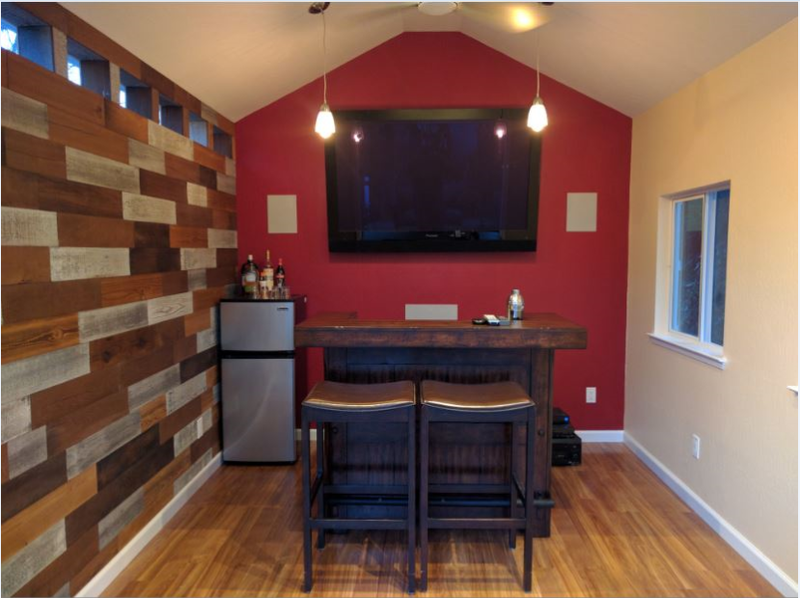 You can create a more welcoming space around your watch party shed by adding a new porch or patio. A patio is especially useful if you’ve got double doors on your building. When you open up the doors you’ll be able to watch the game inside or outside, giving you more room to host fans. If you plan on hosting a watch party for all your friends, make sure you have enough seating for everyone. You can get fancy with a full couch or put together a group of miss-matched chairs for an informal look. Just make sure you’ve got a seat for each of your guests! You can’t watch your favorite team without your favorite snacks. 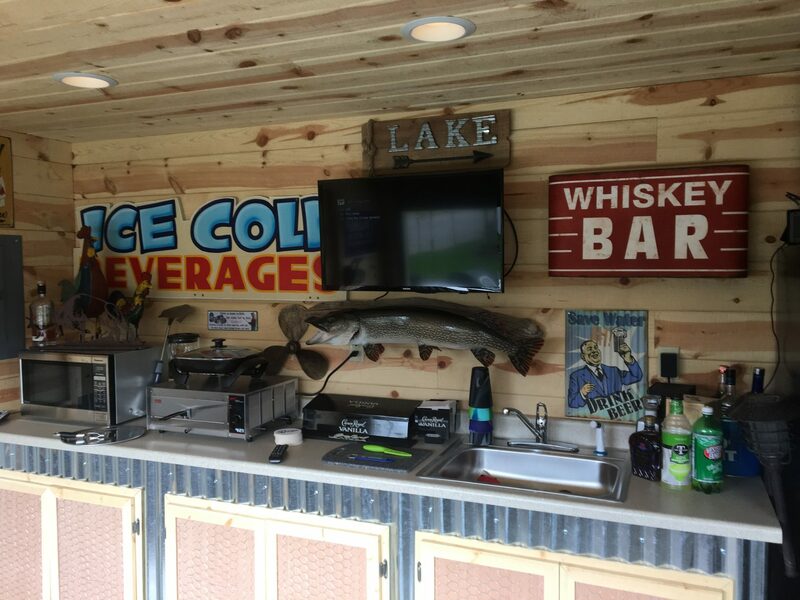 A mini fridge is a great addition to a game day shed and if you’ve got the space, add a counter for all your crockpot treats and chips and dips. We can’t forget the most important part of game day¾watching the game. 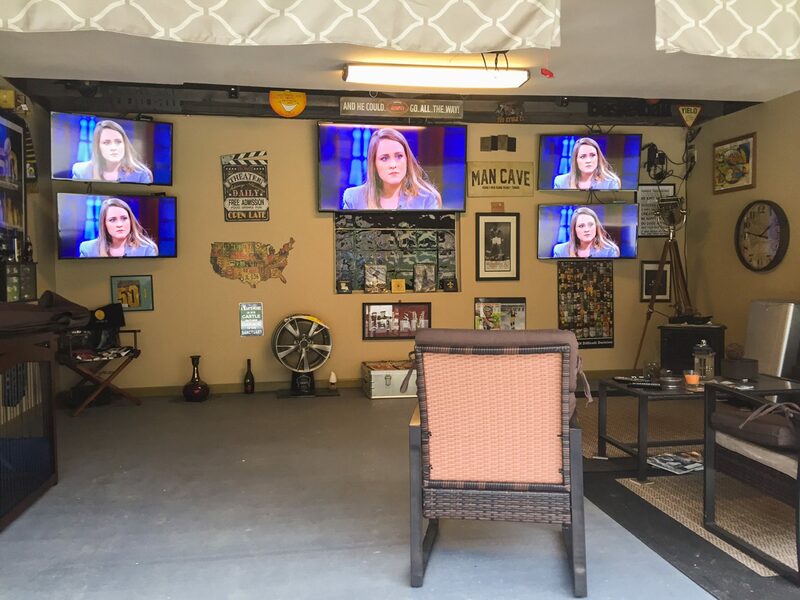 If you’re planning on making your shed a full-time dedicated space to game day, a flat screen TV installed front and center is a great option. If you’d like to make your space more multi-use, you might consider utilizing a projector with a pull-down screen.